Previously reserved for fixed focal lenses, Pentax has unveiled their first zoom released under the exclusive Limited series. This is the 20-40 mm f2.8 – 4 DA WR, which provides coverage equivalent to 30.5 to 61.5 mm when mounted on any DSLR with APS- C sensor of the company. 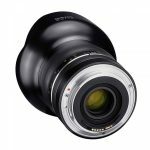 In addition to its careful design and aluminum finish, this new zoom boasts the multilayer coating the company’s lenses have, as well as completely circular aperture diaphragm and ultrasonic focusing motor. It is also the first lens released under the company’s Limited series; it’s resistant to water and dust, just like the latest Pentax SLR bodies. This is without a doubt the smallest and lightest zoom on the market capable of providing a minimum focal length equivalent to 20 mm. 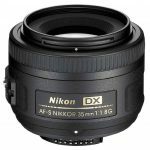 Known as 08 Wide Zoom, this lens is actually a 3.8-5.9 millimeters; mounted on the Q7, provides a coverage equivalent to 17.5 to 27 mm. It’s important to note that the Q10’s sensor is slightly smaller, so that the equivalent focal lengths may be somewhat higher. No data about the brightness of the zoom was released; Pentax also mentioned a shutter system integrated within the optics, which also incorporates a neutral density filter. Nothing has been officially stated about the release price and date of these new models.